(Natural News) As strange as it sounds, there are way more bacterial cells than human cells in the human body. And without them, it’s likely that none of us would survive for long. In reality, the community of bacteria that populate our digestive system – also known as the gut microbiome – plays an important role in brain health, immunity and even emotional well-being. However, without proper support, the balance between “friendly” and harmful bacteria can be threatened, with grave consequences. 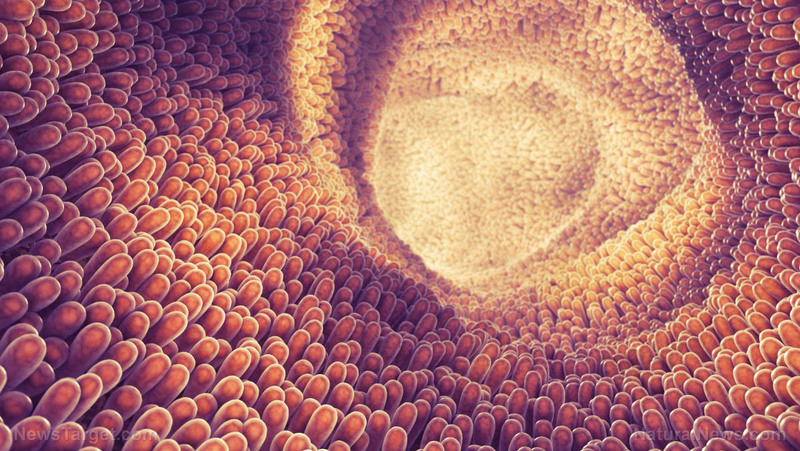 Discover the true value of our gut microbiome. On the next NaturalHealth365 Talk Hour, Jonathan Landsman and Charles Gant, MD, PhD, physician and internationally known authority on integrative medicine, explore the relationship between gut microbiome health and physical and emotional wellbeing. You’ll finally understand WHY the microbiome is so valuable to human health. To hear this FREE show – visit http://www.naturalhealth365.com/free-shows and enter your email address for show details. With about 70 percent of the immune system located in the gut, a healthy and balanced microbiome plays an important role in helping to combat infection-causing pathogenic bacteria. Bacteria in the digestive system, or gut flora, are also essential to the digestion and absorption of food, as well as to the production of chemical messengers known as neurotransmitters. Amazingly, a full 80 percent of our neurotransmitters are produced by gut flora – including serotonin and dopamine, chemicals that regulate our appetite, mood and ability to sleep. So it’s not surprising that disturbances in the balance of the microbiome can have serious consequences. Research has shown that changes in gut bacteria are associated with Parkinson’s disease, inflammatory bowel disease, obesity and diabetes – with several new studies also showing an association between altered gut flora and atherosclerosis, stroke and chronic heart failure. The body’s specific gut flora is determined by genetic inheritance, and is passed from mother to newborn during childbirth and in the first few years of life, and – to a lesser extent – from the immediate family as well. In a very real sense, this is one of the most valuable inheritances we will ever receive. Find out how to protect your gut flora – naturally. Don’t miss the next NaturalHealth365 Talk Hour with Jonathan Landsman and Dr. Gant. Unsurprisingly, diet plays a major role in maintaining gut flora balance. And the bad news is: the Standard American Diet, or, SAD, is (sadly) inadequate when it comes to maintaining proper balance. For example, eating a diet heavy in carbohydrates ensures the presence of the types of gut flora that thrive on carbs – including the Candida albicans yeast, which can easily grow out of control. Overgrowth of Candida, or candidiasis, is responsible for a host of ills, including brain fog, fatigue, digestive difficulties, headaches, acne, oral thrush and more. On the other hand, consuming healthy amounts of fermented, probiotic foods — such as yogurt with live cultures, kimchi, miso soup, pickles and sauerkraut – can help ensure that friendly bacteria thrive. To keep the complex ecosystem of the microbiome in balance requires many diverse types of beneficial bacteria – such as various strains of Bifidobacteria and Lactobacillus. If you are unwilling or unable to consume fermented foods, taking probiotic supplements may be your best bet. Of course, Dr. Gant reminds us that chronic stress can affect our digestive system in unwanted ways – making it harder for us to digest and absorb the nutrients needed for a healthy life. Join us for the next NaturalHealth365 Talk Hour and find out how to create a healthy digestive system – naturally. Charles Gant, MD, PhD, internationally known physician, author and educator, received his M.D. from University of Virginia Medical School and received postgraduate training in Family Practice, Psychiatry and Psychology. Currently Chief Science Officer of the Academy of Functional Medicine in association with Huntingdon College of Health Sciences, he is the author of ADD and ADHD: Complementary/Alternative Medicine Solutions, End Your Addiction Now and End Nicotine Addiction Now. Practicing integrative, contemporary/alternative and functional medicine for over 30 years, Dr. Gant focuses on finding the root cause of disorders, while assisting patients in maximizing their genetic potential. He currently specializes in precision medicine, an innovative approach to disease prevention and treatment that takes into account individual differences in genomics, environmental stressors and lifestyles.